Unlike other sea salts, Real Salt is never heat processed, never stripped of its natural components, and contains no additives. Many salts contain anti-caking agents and even dextrose, but we bring it to you the way nature created it, with nothing more and nothing less. 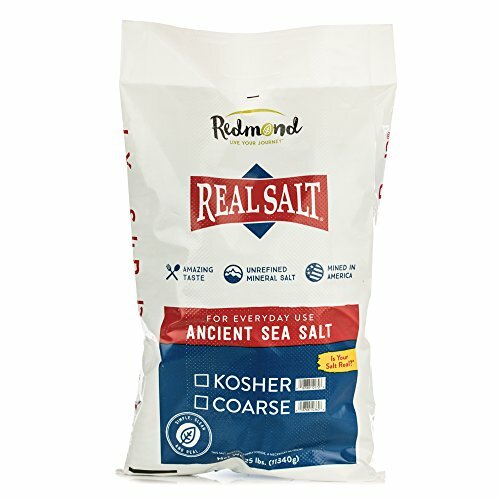 Real Salt by Redmond is an unrefined ancient salt with a full complement of good for you trace minerals. Real Salt is the only pink sea salt mined in America and has been since 1958. It comes from an ancient seabed deep beneath Central Utah that has been protected from pollutants for millions of years. (No plastic in this salt) We carefully harvest it using ethical labor standards and sustainable methods from a mine and mill powered by two solar fields. And, because it's mined in the USA, it comes to you with fewer food miles than any Himalayan, Celtic, Tibetan, Malaysian, French, Hawaiian, Irish, and Marine Sea Salts, all at a price that will keep Real Salt on your table for every meal. The only American Pink and Black Salt.